Hello Friends! I couldn't resist. Back again today with another CAS Challenge: Geometric Design! Who would have thought I'd have so much fun with clean and simple cards! Over the last few days, we've been covered in a thick fog, and a blanket of the most magical, enchanting hoar frost. Each day the layers build up and today I see out my window the most beautiful white trees and crystals hanging off our twinkly lights. It really does look like a winter wonderland! Which is a perfect inspiration for my card today! For today's card, I wanted to create a focal point, and then use a geometric, repeating design to add a little more interest. I started this card by adding a super glittery, sparkly wood snowflake to the center. 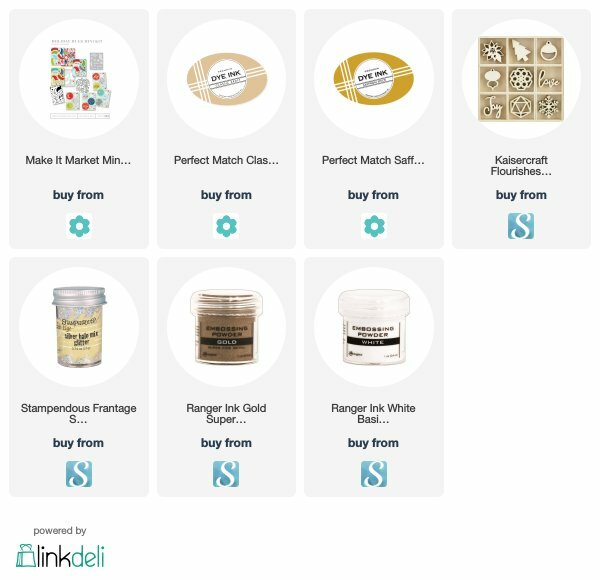 I used Gold embossing powder, mixed with Silver Halo glitter (it is no longer available on SB.com, but you can find it here). It creates this ultra-vintage-y sparkle that is simply irresistible! 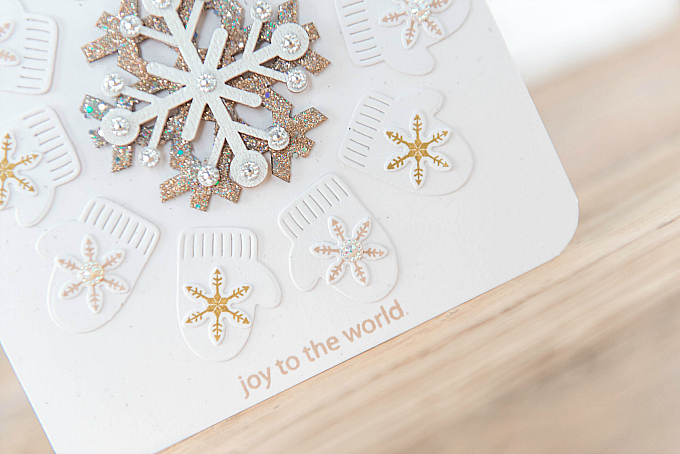 Atop that, I layered a white-embossed snowflake, decked out with tiny silver rhinestones. Around the focal point, I die-cut the same mitten design (with a tiny snowflake) using PTI's Holiday Hugs MIM kit, stamped in Classic Kraft and Saffron Spice ink. Some of the mittens got a dose of sparkly rhinestones, too. This was such an easy card to make, and the simplicity is what's actually drawing me in. Who would have thought?! You can easily re-create this CAS Challenge card or try a different theme using a geometric design! Either way, we'd love to see! Sending heaps of joy your way! Trying to play catch up and took a peek at what I've missed. You always add the loveliest details and the prettiest sparkle! This card with all of this little mittens is just delightful.! You ROCKED the CAS design with this card!! 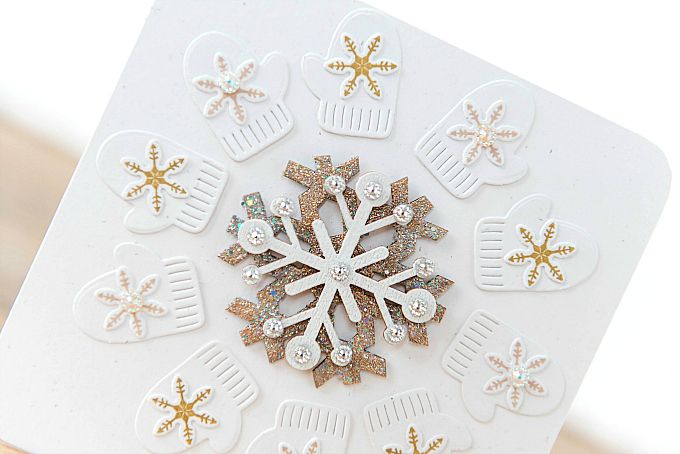 I love the shiny snowflakes and like that you used embossing powder on them rather than glitter. LOVE the fun circle of mittens! Oh my goodness--over the top creative & festive! Just love the design, glitter, colors--everything!